There’s A Gift Card Included In My Valentine’s Day Gift Basket?! What Do I Write? Doesn’t it always feel like just when you need to find the right words to say, they’re just never near the tip of your tongue? 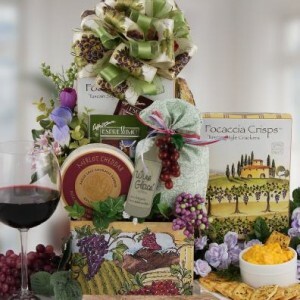 All of our gift baskets include a gift card where you can write a special, personal message to the gift recipient, and we get calls all the time from customers who simply have no idea what to write! The recipient may mean the world to them, but when it’s time to type out those words, it’s natural to just draw a blank. Don’t feel intimidated this Valentine’s Day when you’re filling out the gift card in the charming Valentine’s Day Gift Basket you’ve chosen or when you’re writing a message inside that greeting card – here are some examples of great Valentine’s Day quotes of love and friendship to get you started. We’ll never tell that you borrowed them from us – just include a meaningful quote and an “I Love You” or an “I Love Our Friendship!”, and you’ll instantly add warmth to the recipient’s Valentine’s Day. Chat with your significant other or friends about what you and they would like to do on this February 14th. After all, it’s always better to be upfront about your expectations on the day and whether you’d like to go out for a fancy dinner or simply relax on the couch with a movie. From all of us at BisketBaskets.com, we hope you have a wonderful Valentine’s Day!